After her wooden, some might say robotic, performances during the General Election, Theresa May's supporters were willing her to show her authentic self in the leader's speech at the Conservative Party Conference last week. Sadly, they got more than they bargained for, as the Prime Minister revealed herself to be all too human, and vulnerable, in what was not so much a car crash as a high-speed motorway pile up. If she did have a key message, it was drowned out by prankster antics, phlegm, coughs, wheezes and a hopelessly malfunctioning set design. The irony is that just four months ago the message was king. 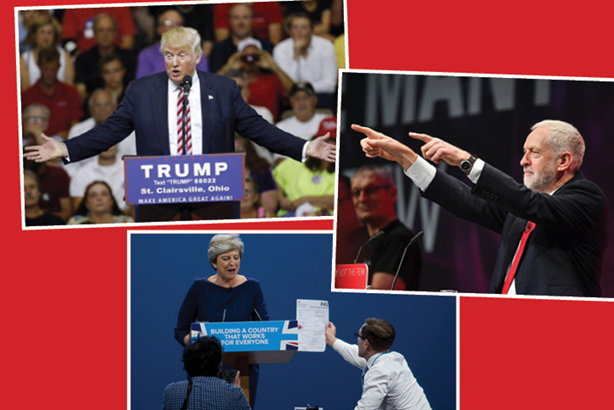 The endless repetitions of "strong and stable" seemed to leave little room for prime ministerial personality and warmth – so much so that delegates on my media training courses have since asked whether it is even possible, as a spokesperson, to communicate your key message while still being an authentic human being. Well, of course it’s possible. Just because May herself hasn’t yet managed to do both (partly due to bad luck – anyone can get a cold), it doesn’t mean that doing the two things at once is unachievable. Just look at Jeremy Corbyn. Like him and his politics or not, few would deny that he conveyed his authentic self during the election campaign to great effect. And, as the campaign went on, his message 'for the many, not the few', brilliantly deployed across social media, gained more and more traction, leading to a result that was far better than almost anyone had predicted. Across the Atlantic, and the political divide, Donald Trump pulled off exactly the same trick in the Presidential election last year. Like Corbyn, he was the underdog. But a sufficient number of voters were inspired by Trump's key message, 'make America great again', and clearly enough of them were prepared to support a flawed man, who "at least says what he thinks". Some might be thinking "But I can’t stand Jeremy Corbyn", or "Donald Trump is my worst nightmare". And that’s one of the difficulties of being authentic – not everyone will like what they see. But far better in the long run to be true to yourself and your message than to attempt to iron out every wrinkle and imperfection in an effort to please everyone. So what about May? If you look at the text of her speech in Manchester, as opposed to the excruciating video, you’ll see that she is at last revealing more of herself and her life story, and linking it to what she called "the British Dream" – which was surely the headline she was hoping for.